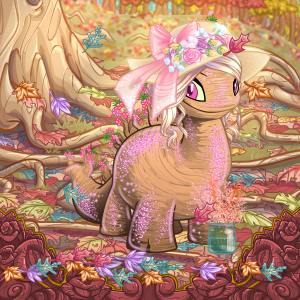 I'm into invisible customisations, customising in general, NC trading, and making my user and pet lookups look pretty. 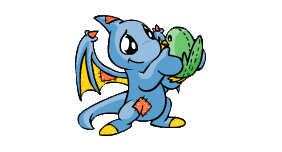 I also collect Shenkuu items and mystery capsules. My master lookbook showcasing all my pets and their looks can be viewed here. 13/4/2018 Got into NC trading. RIP me. 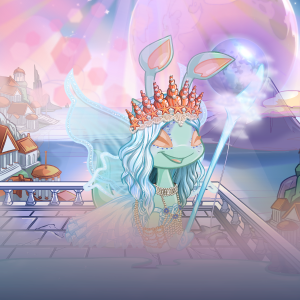 24/5/2018 Created my final side account springintheheart to house my pastel pets. 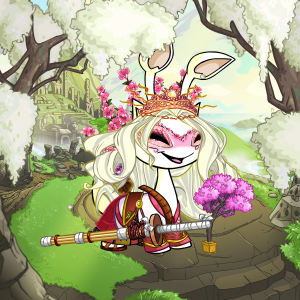 4/6/2018 Created my master lookbook. 24/6/2018 Started collecting retired mystery capsules. 1/8/2018 Created Mikokagura, and finished Terashidasu! 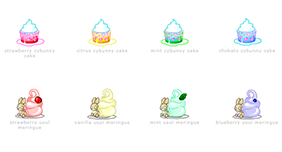 Collects edible items in four colours. My most aesthetically-pleasing gallery. I had way too much fun arranging them by colour so that the sets blended into each other. 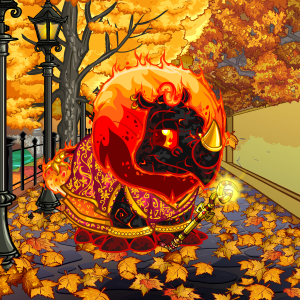 I chose the items for the East Asian aesthetic, even though some of them aren't directly linked to Shenkuu. Mixes NC and NP items. Although some things are so rare and expensive I'll never get them. 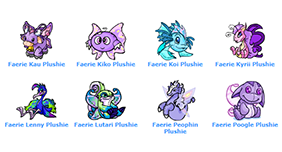 Collects plushies of painted pets. 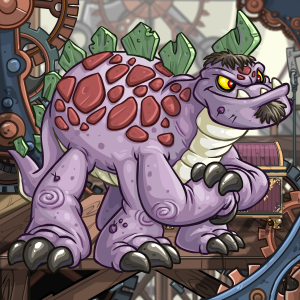 A very casual gallery I don't plan to spend much on, but have fun looking at. Visit it here, or mouseover for a guided tour. 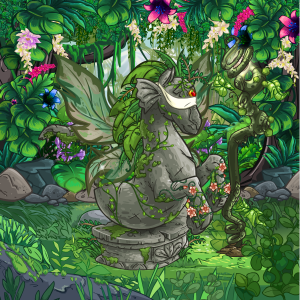 My classic neohome is also pretty awesome. 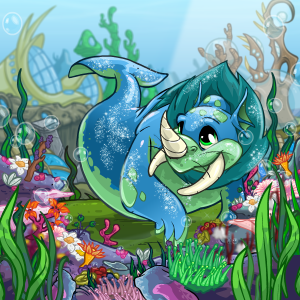 The soothing aquatic-themed bedroom for my Maraquan pets. 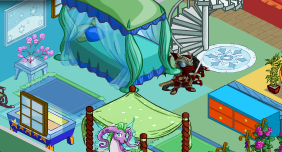 The Shenkuu-themed bedroom where my Shenkuu pets can sleep, study and train in. 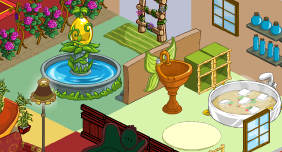 The bathroom and indoor spa. The lounge area. The centrepiece: an indoor fountain. The foyer and living room. 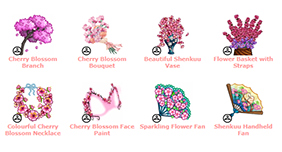 The sakura garden. 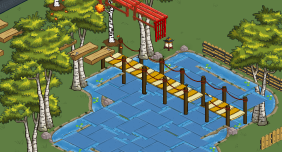 The rotenburo, an outdoor hot spring to soak in. 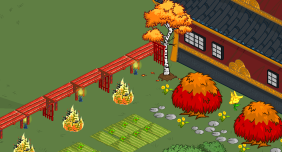 The autumn garden, with crops to harvest. 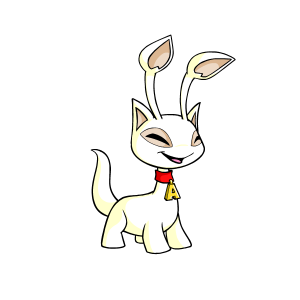 Another old pet. 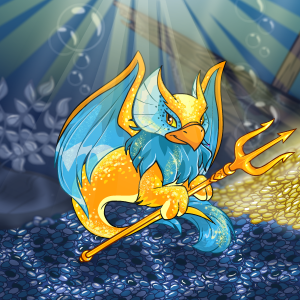 I loved Maraquan Eyries and painted him after receiving a Fountain Faerie Quest. 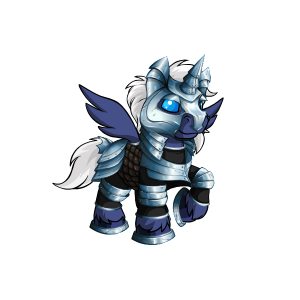 My battledome pet, and a Stealthy x Shadow crosspaint. 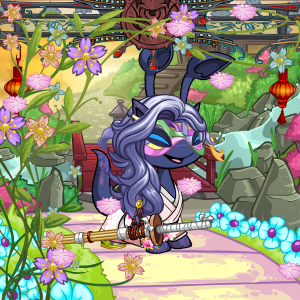 This ninja warrior is not-so-secretly my favourite— along with his petpet, who's based off the archetypal kungfu master/teacher. 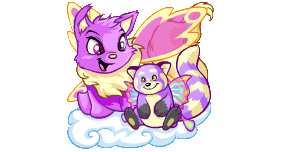 The last of my four pre-hiatus pets. 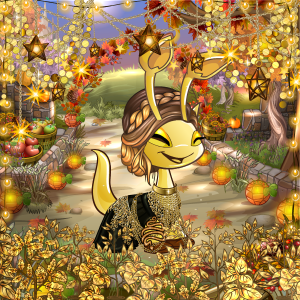 Created as a Xweetok partially because the Lotus Xweetok clothes were so beautiful, she's now my Shenkuu-themed pet and the keeper of my Shenkuu gallery. 寒桜, the winter-blooming cherry blossom. 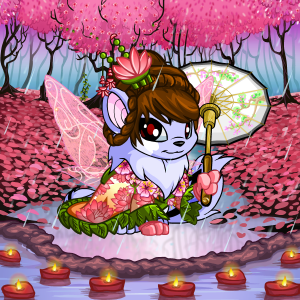 One of the first pets I wanted when I returned from my hiatus (and created around the time I actually did see sakura in full bloom for the first time irl). 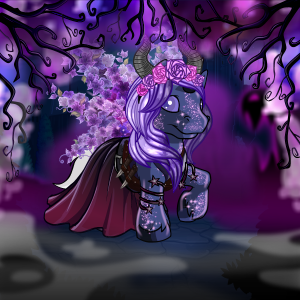 The second full-fledged customisation I created, and also my next favourite. I love the shades of pastel. 照らし出す, meaning to illuminate; to shine a light on. 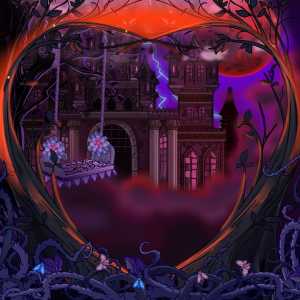 She has a sort of Shenkuu-lanterns-at-dusk theme. 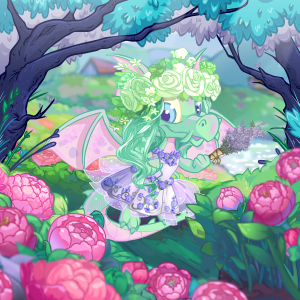 I wanted a Pastel Draik because I really loved the colour, even though I don't actually like Draiks much haha. 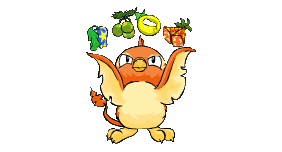 Its petpet, Eos, is named after the Greek goddess of the dawn. Named for the lapine word silflay in Watership Down and a wordplay on sylph, a mythological air spirit. 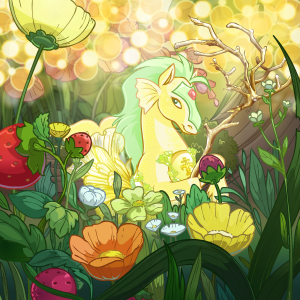 Didn't originally plan on this pet but then I got a fountain faerie quest and couldn't resist the cheerful pale yellow of a pastel peophin! 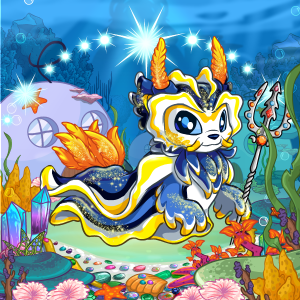 My first and favourite full-fledged customisation, which is saying a lot because I've come up with quite a few more since. In English folklore, Herne the Hunter is a ghost associated with Windsor Forest and Great Park in the English county of Berkshire. He is said to naturally have antlers upon his head. The transparent eyrie, with its skull, seemed a great fit for that. The land to Nealbara's sea. Kaapvaal was the name of one of the two cratons which made up the supercontinent Vaalbara— the name of my first side account. 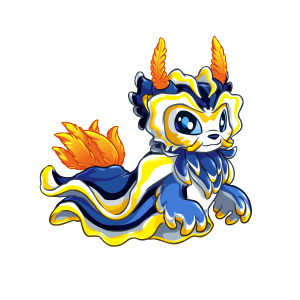 A Magma x Royal crosspaint. The sea to Kaapvaal's land. Nealbara was the ancient superocean surrounding the supercontinent known as Vaalbara, which Kaapvaal was part of. Sirenia is named for the Latin order of manatees. 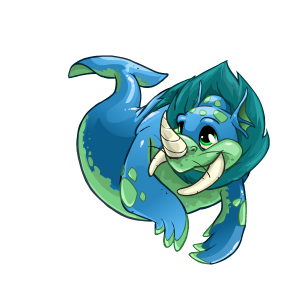 I love Xweetoks and Maraquan ones are magnificent. "Theoi einalioi" was the ancient Greek term for sea gods. Short for sika deer, though I wanted a mousedeer-reference or at least more Southeast Asian name at first. 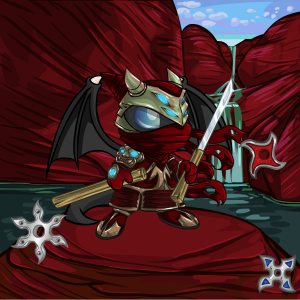 I just really liked the Moltaran Eyrie clothes. I love NC backgrounds. If it's not on my DTI tradelist (impress.openneo.net/user/36946/closet) it's not for trade, sorry!